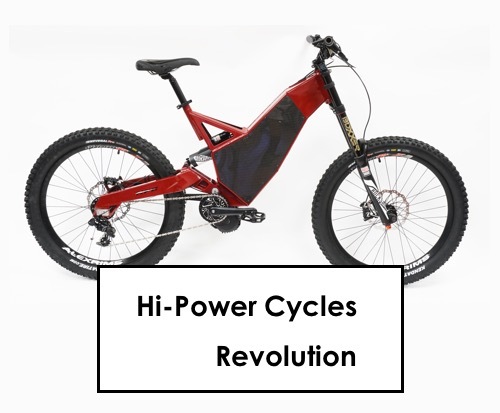 Hi-Power Cycles (HPC) is one of the most respected names in the e bike industry. They produce super-high-quality electric bikes. 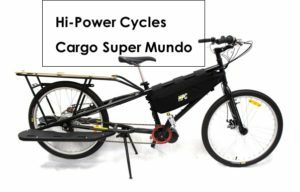 These bikes are for people who want serious adventure, at top speeds, with more power than is legal on a typical street. We carry these in stock in our Salt Lake City store. 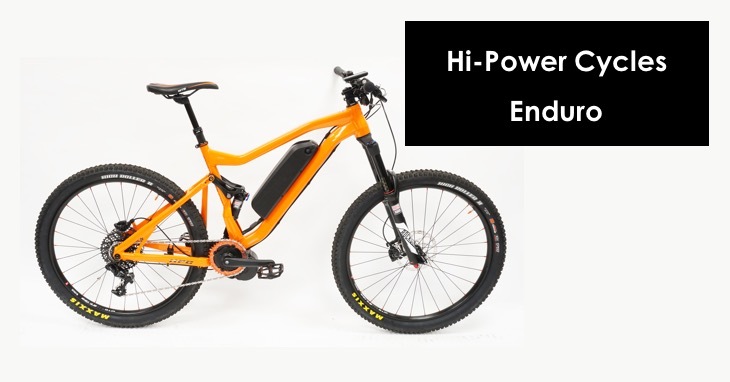 These electric bicycles use hub-motors, the Crystalyte brand of power-drive system. They only use the highest-quality components. And because they offer so much power, you can get away with having a motor on the rear of your electric bicycle, and still get the kind of torque you need to be awesome on the mountain. Inventory in our Utah shop is constantly changing. Call us to confirm that we have the model and brand you’re looking for and schedule a time to visit. HPC (Hi-Power Cycles) Cargo e Bike - The Super Mundo by Yuba with HPC Conversion. CLICK to enlarge image. HPC (Hi-Power Cycles Enduro) at High Country E Bikes in SLC. SEE larger image HERE. Hi-Power Cycles (HPC) Titan with Fat Tires in Salt Lake City. CLICK HERE to enlarge. 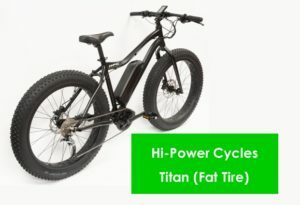 BUY Hi-Power Cycles (HPC) e bikes in Salt Lake City today!